Sunday after Nativity. Matins and Divine Liturgy. Brethren, I would have you know that the gospel which was preached by me is not man’s gospel. For I did not receive it from man, nor was I taught it, but it came through a revelation of Jesus Christ. For you have heard of my former life in Judaism, how I persecuted the church of God violently and tried to destroy it; and I advanced in Judaism beyond many of my own age among my people, so extremely zealous was I for the traditions of my fathers. But when he who had set me apart before I was born, and had called me through his grace, was pleased to reveal his Son to me, in order that I might preach him among the Gentiles, I did not confer with flesh and blood, nor did I go up to Jerusalem to those who were apostles before me, but I went away into Arabia; and again I returned to Damascus. Then after three years I went up to Jerusalem to visit Cephas, and remained with him fifteen days. But I saw none of the other apostles except James the Lord’s brother. Saint First Martyr Stephen. Orthros and Divine Liturgy. 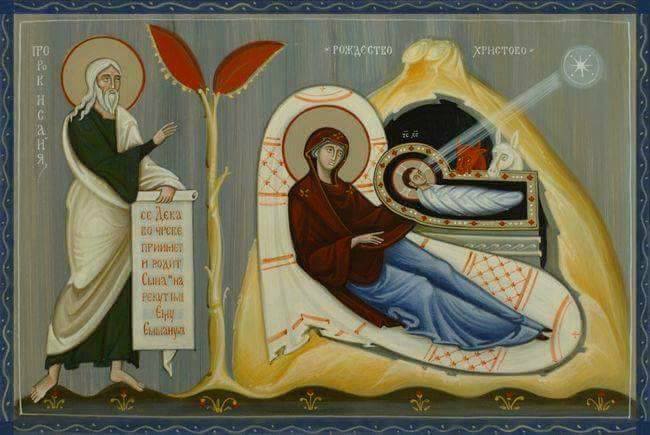 Circumcision of our Lord Jesus Christ. St. Great Hierarch Basil the Great. Matins and Divine Liturgy.